Can You Hear God's Voice? 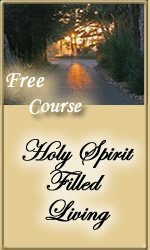 In our free Bible lesson on hearing the voice of God, we asked the question...Can YOU Hear God's Voice? I have he talks to me all the time sometimes I listen and other times I don't. When I don't I always regret it!! I hear him like you said in a whisper and I often forget that it is him when I do eventually realize it's God I often find myself finding things easier in my life. He truly is an awesome god! Once when I was a little girl God told me that if I left my new little puppy with a friend of mine it was going to die. I knew it and told my Mom and Dad and they were certain that it was all in my head I was so certain that I went to my next door neighbor and asked them to watch the dog. They said yes but my mom insisted that the friend was going to watch it one day then she would bring it to the neighbor the next day but I felt this was not good enough and I threw a tantrum but didn't get my way. That weekend when my friend was bringing the dog to the neighbor's house she rode her bike with the dog in a bag and the dog food in another bag and the dog food got caught in her wheel she fell and killed the little puppy. I knew it when we got home I made my Mom call my friend as soon as she returned but it was too late. This is one of many stories but it shows that God can tell you what is going to happen and if you listen you may be able to have control over the outcomes in your life. Comments for Can You Hear God's Voice? Me too!! i was studying for a final in a 24 hr coffee shop (i was planning to pull an all nighter there, actually) - and i was pretty much the only girl alone in there - when God told me to leave (this was about 9pm at night). i didn't understand it but i packed all my stuff and left for about an hour. When i returned (cuz i thought it was 'ridiculous' - i have an exam to study for!!!) i found the police swarming the place!! in the hour that i was gone, the whole place had gotten robbed!! from what i could see thorough the window, the 2 employees left (the managers?) were looking pretty scared while the police were questioning them (i wasn't allowed in cuz they had shut the place down after that and for several days after). Praise the Lord for scooping me out of disaster before it hits! !